It happens more times than I care to admit. I overestimate my own awesomeness and believe I am capable of more than I truly am. This usually happens when I need to run a quick errand and suddenly every child in my house wants to tag along. “Mommy, can I come, too?” they sing in four-part harmony when I’m trying to quietly sneak out the door. I hear myself saying, “Yes. Get your shoes,” while my own inner phantom mom is telling me I am probably going to see the error of my ways in a public display. She tends to be right much of the time. In my head I’m the mom shopping at the store with my kids all smiley as they help put healthy items in the cart while I casually chat with a friend I bumped into. In my reality, with my inner phantom mom standing cross-armed and glaring next to the brownie mixes, my kids are doing backflips down the aisle and screaming about what a bad mom I am for not letting them get all the sugar our cart can hold. I’m having a spectacular parenting moment when I see someone I haven’t run into for a while. She is perfectly dressed and—of course—her kids are at home cleaning the house. In epic form, I fail in every way. There is no awesomeness as I assumed, and I become that mom with those kids. At this moment I think I could possibly use up all the grace God has for me for all of my years. Sometime later I sit in my room with a cup of hot tea and think about my lack and his abundance. I plan on being here in this moment for as long as my kids will let me. I close my eyes and sink into the chair. And I read God's grace. It says, “The Eternal One yearns to give you grace and boundless compassion; that’s why He waits” (Isaiah 30:18 ᴠᴏɪᴄᴇ). I turn these words around and around in my head and dig deeper. I find that the existing One waits to ambush me with favor and tender affection. His longing is for me—the yeller, the shamer, the if-looks-could-kill-you’d-be-in-big-trouble girl. He who sits exalted longs to shows me mercy. He waits to pour out tenderness upon me, the stressed-out mom. I see it is about relationship after all. Grace makes the relationship possible. Are you weary today, friend? There is more than enough grace for you. Grab a cup of tea and take a quiet moment to thank him for this truth. He wants to wrap his arms around you today and give you grace and compassion. I promise you can’t need more than he gives. 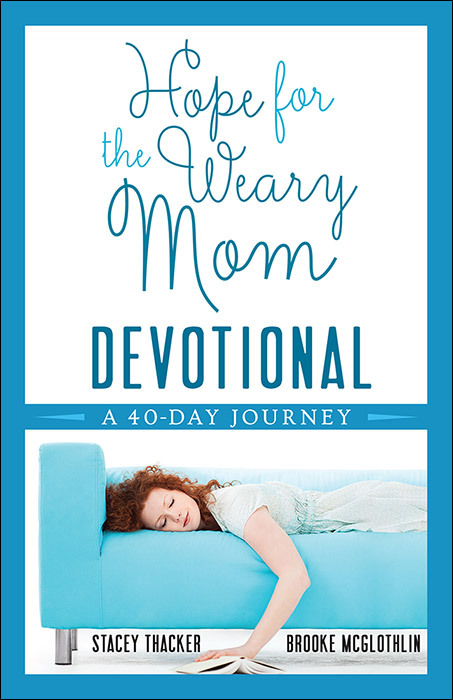 Find more encouragement for your stressed-out heart in the Hope for the Weary Mom Devotional.